Attendees are not allowed to turn on their Mics / Webcams by default. 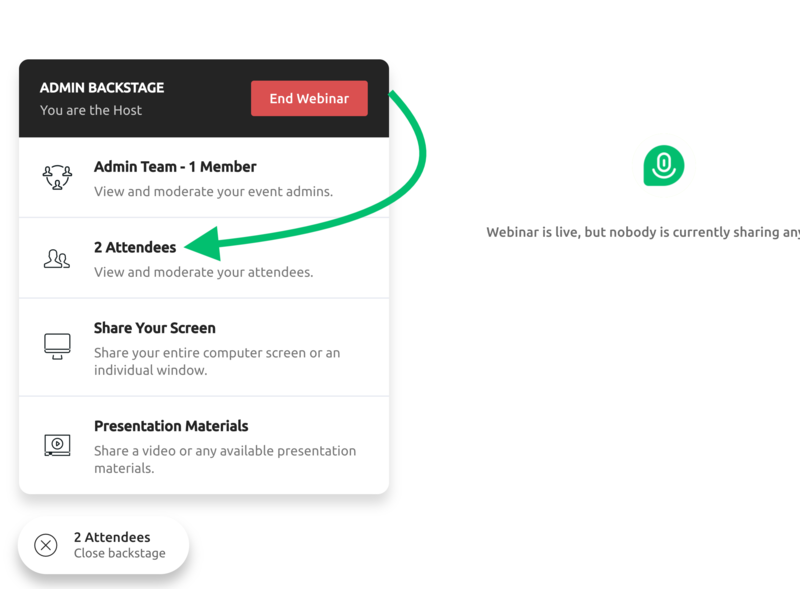 However, Admins (i.e Presenters / Moderators) can grant Mic / Webcam permissions to Attendees anytime during a live webinar. 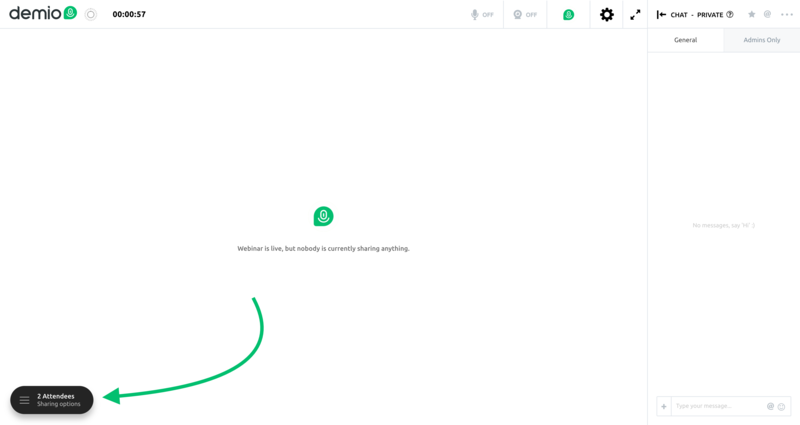 Note: We currently only support Google Chrome / Firefox for using Microphones and Webcams with Demio. 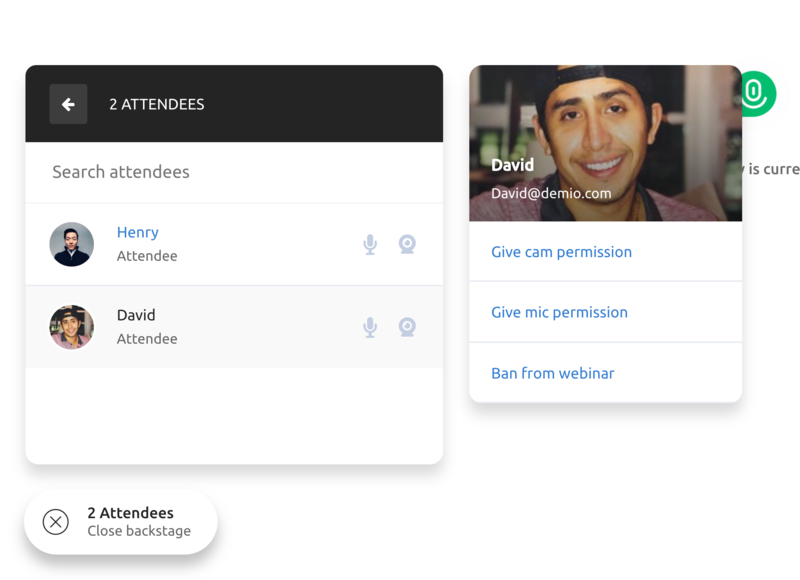 Therefore attendees that wish to use their Mic / Webcam will need to use Google Chrome / Firefox. 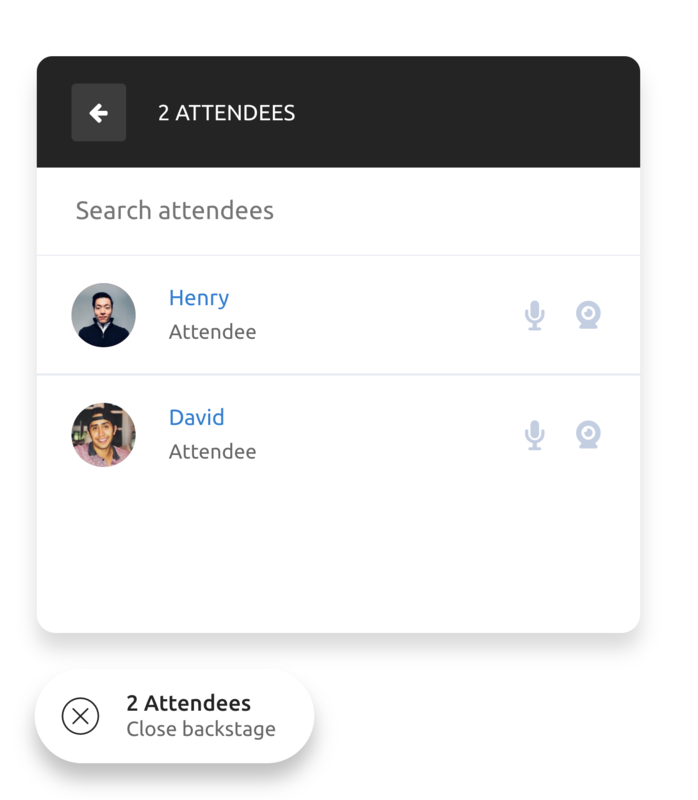 Next, select the Attendees sections to be able to view your list of Attendees. This will send a request to Attendee to turn on their Mic / Webcam. If the Attendee clicks Yes, their Mic / Webcam will turn on straight away, but If they choose No then they will get Mic / Webcam options which they can turn on at any time they want.